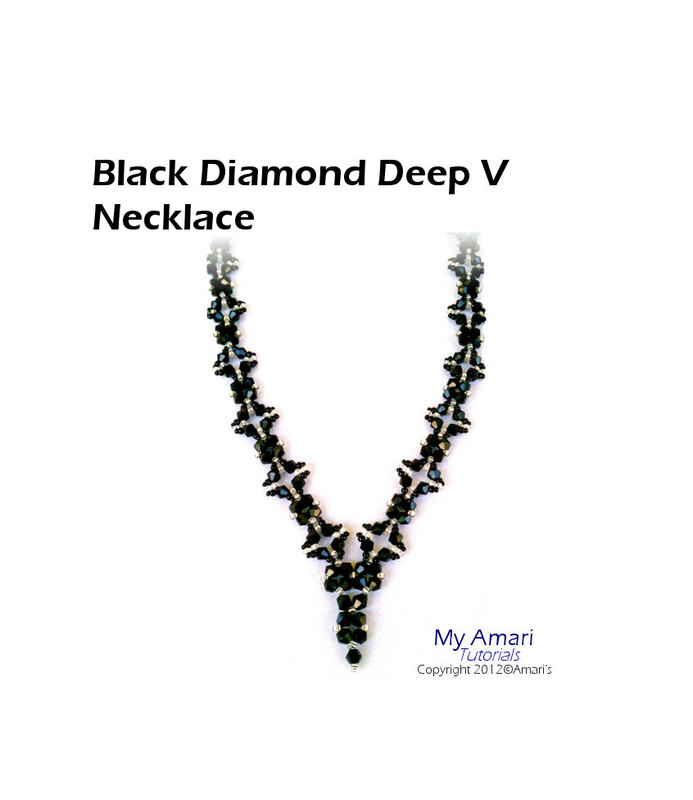 This necklace is a variation of the diamond stitch. The tutorial includes 40 detailed colored photos with written instructions in 27 steps on how to bead this right angle weave necklace. The PDF include what amount and kind of beads to create this 18 inch by 1/2 inch wide necklace.